Gotham City is one troubled town. Each and every day there seems to be a brand new villain terrorizing the good citizens of Gotham. But luckily for all the good people Batman is there to put a stop to all the bad things that the Joker, Two Face and others do. With all those villains out there, it’s tough to feel safe when you hit the streets. But Batman always has a way of making us feel a bit more at ease when we go out at night. We know that if trouble comes our way we can just shine the Bat signal into the sky and the masked superhero will be ready and waiting to fight for us and have our backs. Now, if only we could get that kind of service everywhere we went! Now if your little one wants to be the hero that Gotham needs then this great superhero costume is for them. 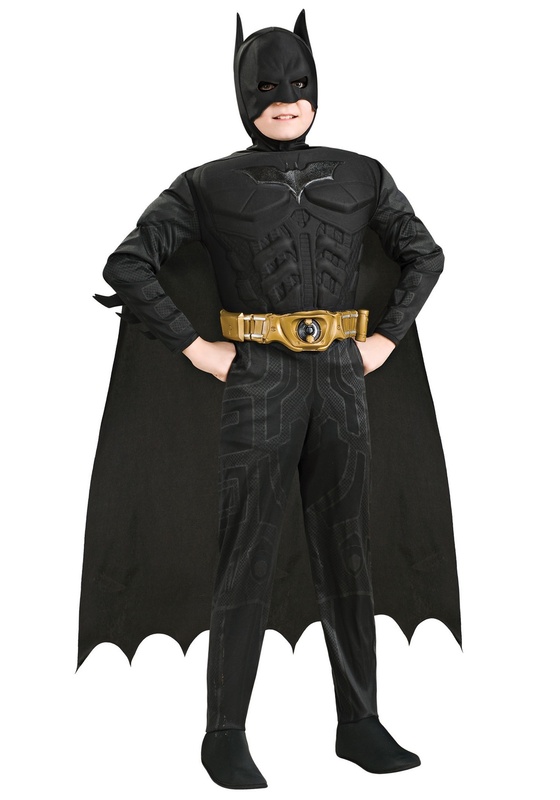 This kids Batman costume works great for Halloween or just anytime your child wants to be the Dark Knight! 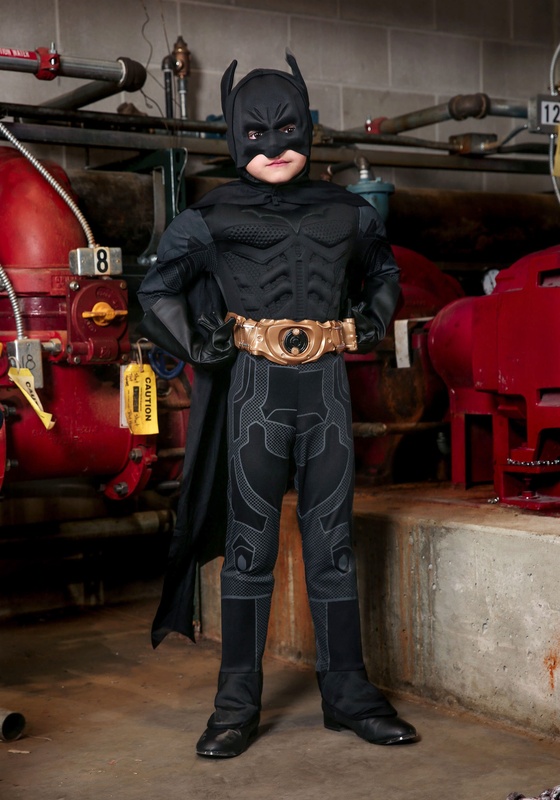 The officially licensed costume comes with everything your child needs to gear up to save the city! The black jumpsuit has printed gray detailing and the polyfoam muscle chest gives your little one some intimidating muscles (without having to hit the gym). The classic gold utility belt is also included. And your child wouldn’t be Batman with the black cape and signature Batman mask! 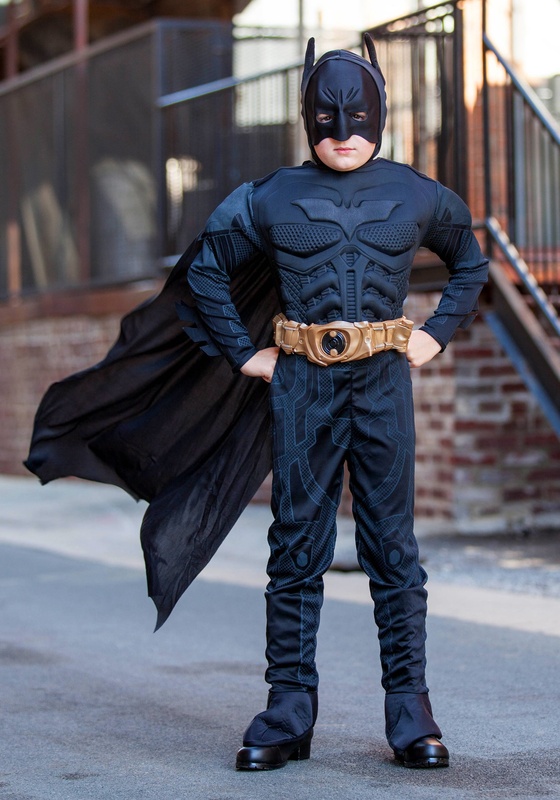 Add a pair of black superhero boots and your child will be ready to hit the streets and keep them safe this Halloween!